In today’s word, we are reminded almost daily that disasters and emergencies can — and do — strike unexpectedly. That’s why preparedness — whether prompted by the threat of a fire, a quake, a flood, or an event even much less predictable — is so important. 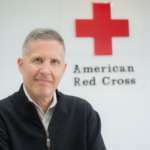 The American Red Cross believes that everyone has an important role to play and that being truly ready starts by empowering all of us — together — to build safe, resilient communities and ensure business continuity. Ken Toren has held a variety of executive roles as CEO, COO, co-founder, Board Member, advisor and investor in companies ranging from enterprise and consumer technology, to start-ups and healthcare. In the for-profit sector, Ken has raised venture capital investments of $20M+, consistently generated $MM+ in annual revenues, and led mergers and acquisitions. Companies included: VertIQ (case management software to US State and Federal government crime labs), REDmedic (acquired by Blue Cross/Blue Shield), KickFire (acquired by TEEC Hosting Services in UK), ActivIdentity (acquired by Assa Abloy), LECG (acquired by Grant Thornton) and Onomy Labs (Xerox spin-out). In the healthcare sector, he has held executive roles with Parkinson’s Institute and Clinical Center, Cancer CAREpoint and UCSF Global Health and Asthma Research. Ken’s non-profit experience includes senior level roles in disaster relief and preparedness services; community centers; local, national and global humanitarian efforts; services for the disabled; and the management of biomedical, scientific research, clinical and support programs for patients with Parkinson’s disease, Dementia, Cancer and Asthma. He has also led non-profit fund-raising programs totaling over $350 million through major gifts, employee engagement, workplace giving, capital campaigns, governmental/private grants, planned giving, online campaigns, and corporate event sponsorships. In addition, Ken has managed service delivery, marketing, operations, real estate and facilities, finances, governance and employee counts of 100+. He has served as volunteer Board member in major non-profits including NOVA, YMCA, San Andreas Regional Center and Hope Services. Ken holds a Bachelor’s and Master’s degrees from the College of Public Health and College of Sport, Tourism and Hospitality Management at Pennsylvania State University and Temple University. He resides with his family in Los Gatos, California.